DENVER - In the crowded newsroom at 9NEWS (KUSA-TV), my colleagues and I watched in in frustration. 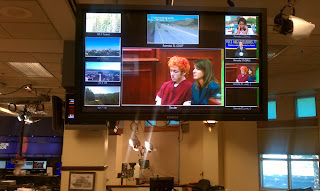 We were selected by the judge to provide live video to all television outlets on the planet of the first court appearance for the suspect accused of killing 12 people in a crowded Aurora, Colo. movie theater. It was not going well. I could sense the expletives being hurled at us from every control room and newsroom across the face of the globe. A few minutes in to the court hearing, the video and audio froze-- a little bit at first-- and then so much you couldn't make sense of what was happening. It's not because 9NEWS doesn't know how to provide good video, it's because we used some newer cellular-based technology to provide the feed. Long time news managers at 9NEWS cannot remember another instance where a live signal from inside an Arapahoe County courtroom was allowed or even attempted. So the feed, imperfect as it was, was unusual, if not historic. The court building itself presented some legitimate security concerns regarding wires running in and out of the courtroom. The court assigned 9NEWS the task of providing video coverage. We offered to use a wireless-based system. 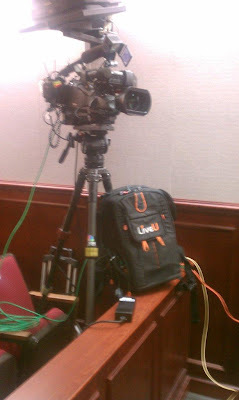 The black backpack contains a device called a LiveU, one of a couple models of new-age "TV live trucks in a backpack." Trouble is, the LiveU relies on the cell phone network, making multiple simultaneous connections to cell towers to increase the amount of bandwidth it uses and provide HD-quality video live. It started out well enough. We got a crystal-clear image of the suspect and his bright red hair. His glazed-over expression. It was an important moment in the development of the case. Aside from some disruption when the camera was in motion, the feed would have been an amazing success. One of the biggest moments in LiveU's history. But instead the new technology crashed and burned in what could have been its finest moment. Why? Because the multitudes outside the courthouse started to get information about what was happening inside and whipped out their smartphones. The sheer volume of data usage in the area sapped the bandwidth that was going to the source of the information: the one feed being relied upon by the world to observe the court hearing. The mass texting, tweeting, and posting of information in real-time crushed the cell signal providing the information in the first place. It didn't keep us from having the entire video. Within minutes of the end of the hearing, the full-quality recording from our camera was fed out to the world. We agree it would have been nice to have it all work perfectly in real-time. People much smarter with technology than myself here at 9NEWS are already working on lessons learned and looking for solutions for next time. Should we have called the cell phone companies and pleaded for booster towers? Should we have looked for some other wireless solution that links back to a traditional TV truck, if the court would have allowed it? For all those in the industry who hurled expletives toward 500 Speer Boulevard today, just know that our quick willingness to use new technology may be the only reason we got a live picture at all, however flawed the last half of the transmission was. "As you mention, it seems that the cellular conditions in and around the courthouse were very difficult today – much more difficult than what you typically might have encountered in previous uses around Denver. Even so, we believe that the LiveU unit is able to overcome such extreme conditions with a little tweaking. We’ve emailed some suggestions to our contacts at the station and hope they can help in future uses in highly congested locations." I am told that 9NEWS contacted LiveU in advance of today's coverage in order to determine the best way to configure the unit, but am uncertain how in-depth that discussion was. "And by the way, as the director of the network special, I can tell you we were not cursing you. We have seen the limitations of LiveU before but never were quite so riveted to its content or limited in our options. For what it is worth, we’re all singing the praises of your station’s work through this crisis and are thinking of your community during this tough time." Thanks for the explanation. As a TV guy who uses similar equipment (and saw the photog's tweets about Live U before the hearing) I was wondering while watching if the judge had decreed no wires. My personal feeling is that a microwave hop to the SAT truck would've worked better if you have the equipment. We have both the backpack and microwave hop technology out our station. Sometimes I think we're quick to try something new and untested when it's not completely necessary. I don't know that it was unnecessary and I don't know the layout of the area. I'm not sure we could have done a microwave hop- or if we could have used some kind of RF thru the courtroom wall. I know the judge was very clear about no wires for security reasons, and I'm not sure what he would have tolerated. Obviously we are getting our tech folks involved since we have much more prep time for the next hearing on Monday. The LiveU might even have worked had we set it to lower quality. Seems a secure wireless connection to your TV truck would be a better solution that relying on cell tower bandwidth in nearly any situation... even if you need a wireless relay 1/2 way between the source & the truck. But then I'm not in the TV industry either. Thanks for the explanation as I was thinking what is the problem with Colorado that they can't get a signal out. It's interesting to find out the reason behind the scrambled TV signal. I was the photojournalist chosen for this by the courts and it was a huge task but one that I will look back on and be proud to be a part of. I will tell you that we do have the microwave equipment to hop to a truck but again no cable out of the courtroom and no windows to shoot out of so that option today on short notice was not available. We did have the LiveU unit connected to the courthouse internet system via Ethernet as well. Pulling from cell towers and the Ethernet still just was not powerful enough once everyone saw the suspect and started tweeting, texting and emailing information out to the world. We will be working hard and did learn some things for the next time. We will make it work. You mention that the backpack was using wireless and courthouse ethernet....BUT, what was the server (receive end) connected to? 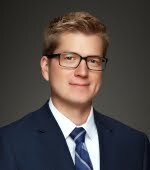 Was it at KUSA (on a hard line) or was it outside the courthouse in the TV compund connected to a wireless device itself and competing for cellular bandwidth? Mr. Grotticelli's article mentions "transmitted those images via a wireless public network to broadcast microwave trucks waiting outside." Thanks for using LiveU. As you mention, it seems that the cellular conditions in and around the courthouse were very difficult today – much more difficult than what you typically might have encountered in previous uses around Denver. Even so, we believe that the LiveU unit is able to overcome such extreme conditions with a little tweaking. We’ve emailed some suggestions to our contacts at the station and hope they can help in future uses in highly congested locations. Thank you again for using our unit, and please let us know if we can help with anything further. The last thing the cell phone companies are going to do is allocate more bandwidth for these units. Wonder how up to 14 data cards bonded meets the FCC Radio Frequency Emission? I would not want that much RF near to me. Did you try to use an ethernet connection to the city's internet? Might they have had wifi or ethernet in the courtroom? I have used ethernet with LiveU deep in an IOC during a hurricane. I guess KUSA has never watched C-SPAN. They have the same LiveU failures every time they use it at a major event. Why they keep trying I don't know. It's really embarrassing for a professional broadcast company to have third rate video on the air so often.